You probably aren’t surprised to see a pumpkin-related recipe here during the month of October, are you? Nah, I didn’t expect you to be. Everyone does pumpkin–or pumpkin spice–recipes this time of year. It’s just that season. I hope, though, that this one’s at least a little different from the others that you’ve been seeing lately. After all, a pumpkin roll isn’t exactly the easiest thing to make. It isn’t super hard, necessarily, but it does come with some potential problems. 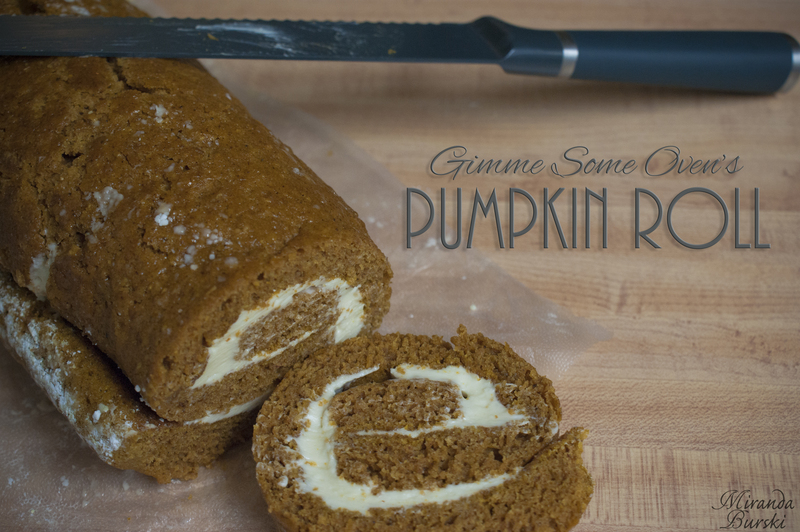 The Gimme Some Oven Pumpkin Roll recipe, though, makes things as easy for you as it can. There’s minimal mess, it doesn’t take a whole lot of hands-on time, and the majority of the ingredients are things you probably already have in your pantry. 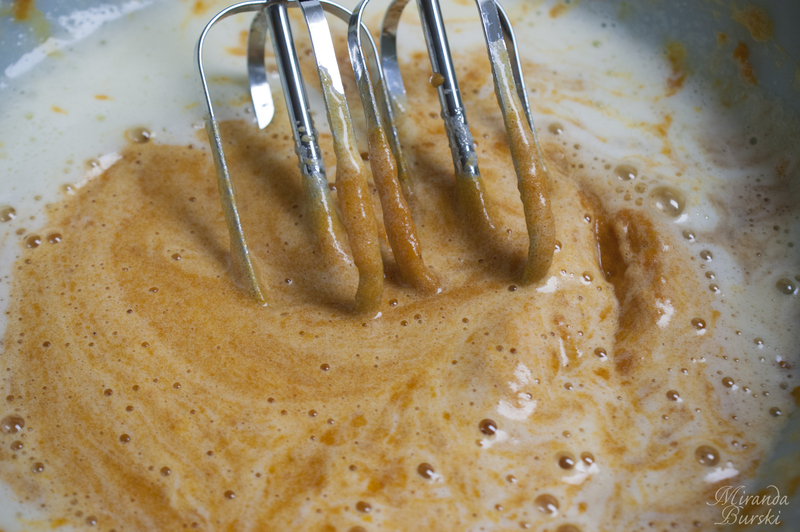 Mixing the cake ingredients together is about as simple as you can get. 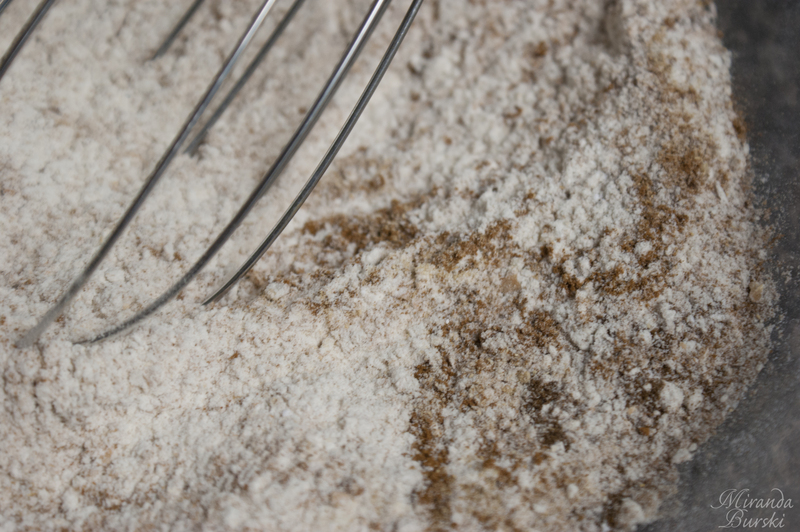 In one bowl, whisk your dry ingredients. In another, gradually mix together your wet ingredients, then add the dry ingredients to the wet ingredients. Once everything’s combined, you pour it into your pan and bake it. The pan, though, may make you stumble a bit. The recipe calls for a jelly roll pan–and I wouldn’t blame you if you wanted to look that up. I certainly did, as I’ve never worked with one before. Now, if you don’t have a jelly roll pan and you aren’t able to find one as quickly as you need to, you don’t need to worry too much. Don’t get me wrong, the recipe would definitely be easiest with the right pan, but you can get away with a high-sided 10.5 x 15.5 or 12 x 18 pan. It just means that you need to be extra careful when you’re getting the cake out of the pan. And, yes, I can honestly tell you that it’s possible–because it’s exactly what I did. 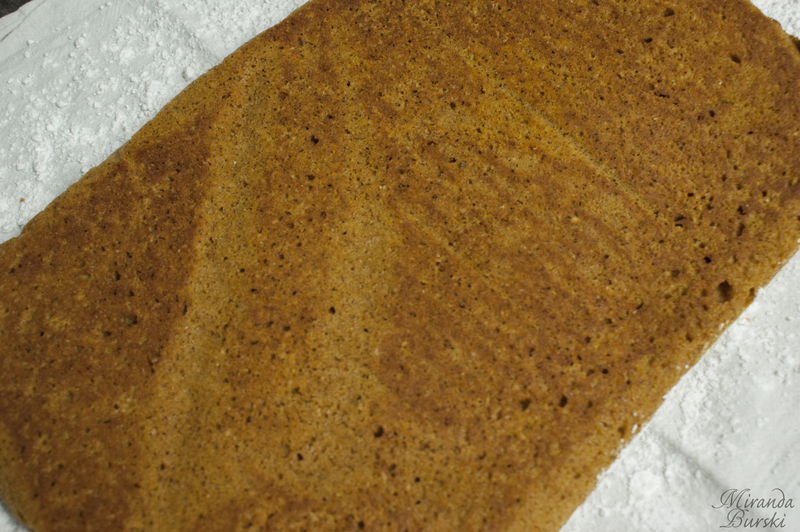 Once your fully baked cake is out of the pan, lay it on a tea towel covered in icing sugar and gently roll it up. Then just allow it to cool. I let mine cool on the counter for a while, then transferred it to the fridge to finish it off. When the cake is cool all the way through, gently unroll it and spread your cream cheese filling over the top. Roll it back up again in cling wrap and throw it back in the fridge. Mine was in for about an hour to an hour and a half before I took it out to cut it, then I put it back in the fridge overnight. The cut pieces held their shape perfectly for the potluck lunch we had at work the next day. I’ll admit, my pumpkin roll didn’t come out nearly as pretty looking as the original recipe’s. But, considering it was my first attempt at a roll cake, I’d say it wasn’t too bad. And it tasted amazing. The cake was moist, and the spices in it were balanced really well with the cream cheese filling. It’s definitely something I’d recommend making this time of year, and Gimme Some Oven’s recipe is a great one to use if it’ll be your first attempt at a roll cake. I love how the cream cheese looks like a lower-case e. =) I just made pumpkin cookies w/brown sugar icing last night. We’re having a pitch-in at work today. Yum! I kind of loved that, too! I kept thinking it would’ve been great if I’d made them for someone’s birthday or something. And those cookies sound awesome! I’ve never had brown sugar icing before. I hope the event went well!